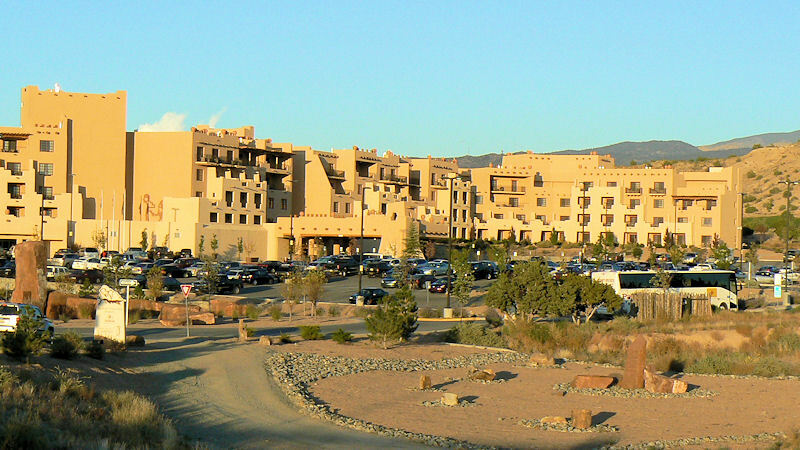 Buffalo Thunder Resort and Casino in Pojoaque about 15 miles from Los Alamos. That is huge! I like how it blends with the landscaping. We have a casino here that I've been to I think 3 or 4 times since we moved here over 6 years ago. I like playing slots, but I don't like losing money. I just take my Mom when she comes to visit because they love going to the casino. 500 room hotel, convention center, and 27 hole golf course. Large casino with slots that also like to take your money.